The Hatzel & Buehler Philadelphia Office has been contracted to upgrade existing distribution power to accommodate expanded concessions/bars throughout the Mezzanine Level at the Wells Fargo Center, in Philadelphia. PA. Additional work includes installation of power for all new kitchen/concession equipment, installation of LED Lighting within upgraded concessions areas, installation of RGB Color-Changing Lights throughout Mezzanine Level, and Design-Build of DMX Lighting Control System. 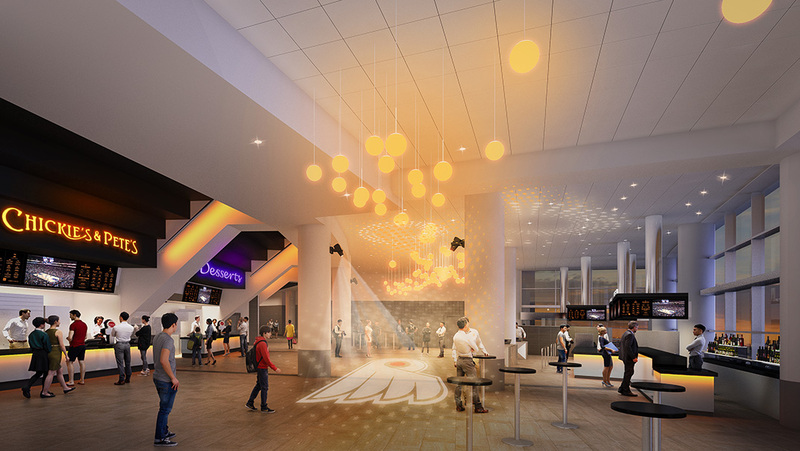 In addition, existing seat lighting in the mezzanine level will be upgraded to new LED lighting.